Last year, we heared the place, Greenhills, in where we could see many fake goods, like Crocs shoes, cheap knockoffs of almost every kind of high quality watch and famous brand bags. 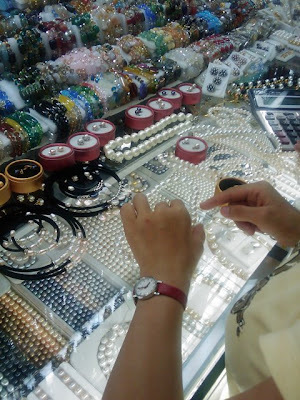 By now, we have bought the Crocs shoes,pearls and one cellphone. Nokia E63 that we bought was English version and didn't support Chinese Charaters. The Problem will bring some puzzle to my girlfriend, because her friends lists are almost written with Chinese. Fortunately, it can be solved by flash the ROM. 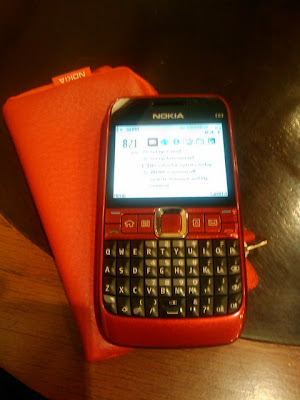 I flashed the Nokia E63 from Philippines Version to Singapore Version and let it support Chinese.